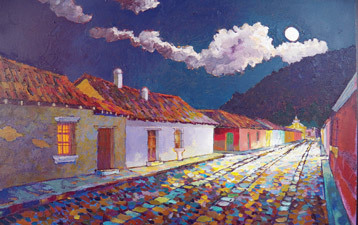 ART Presenting Reflexiones en Color by Guatemalan artist Hugo González Ayala. 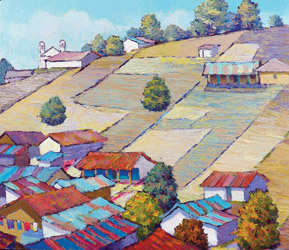 Color which he has joyously explored throughout his career is translated into the buoyant, verdant and bountiful landscape of Guatemala’s Highlands and the country’s jewel of a colonial town, La Antigua. His masterful control of painting conveys his ‘own reality’ with playful imagination through color, form and perspective. More than 15 new oils on canvas in small and medium format on display. The artist will be present at the inauguration.